Berger Realty is ready to serve you at four separate locations across the island: 32nd and Asbury, 55th and Haven,17th and Boardwalk, and 13th and Bay. Owner Leon Grisbaum knows that the key to over 90 years of success is having dedicated and hardworking agents and employees. In fact, some of Berger’s agents and employees have been with them for more than 20 years. 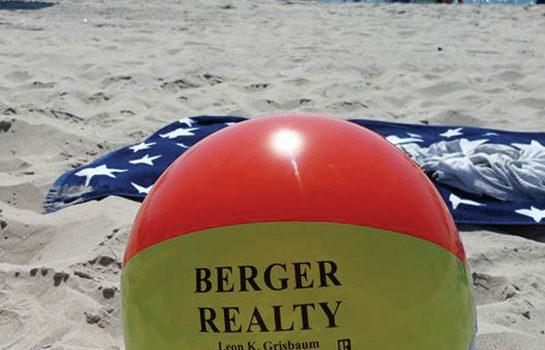 All Berger agents are experts in the Ocean City market and will help you find and close the perfect property. They also have a team dedicated solely to Ocean City summer rentals. Want to spend a few days, a week or two or an entire summer on island time? Call Berger today to help you with the rental process. Berger Realty has been independently owned and operated since 1920 and has lasted in a very competitive market by adhering to one principle: providing superior customer service. They consider it an honor to help maintain Ocean City as America’s Greatest Family Resort.